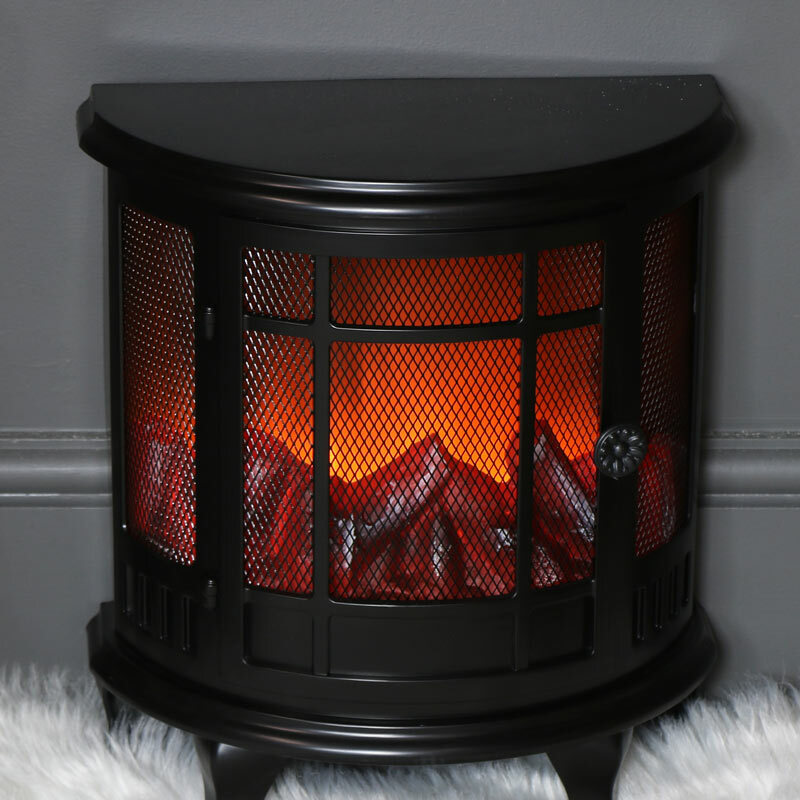 Enjoy the ambient glow of a log burner with this decorative flameless lantern. Lit with LEDs for the flameless look. This little lamp will add a warm charming feel to your home decor. Made to look like a real log burner from a quaint country home, this is a lamp that will add plenty of character to your living room or bedroom. The perfect nightlight for young children with the flickering flames safely lulling them to sleep. 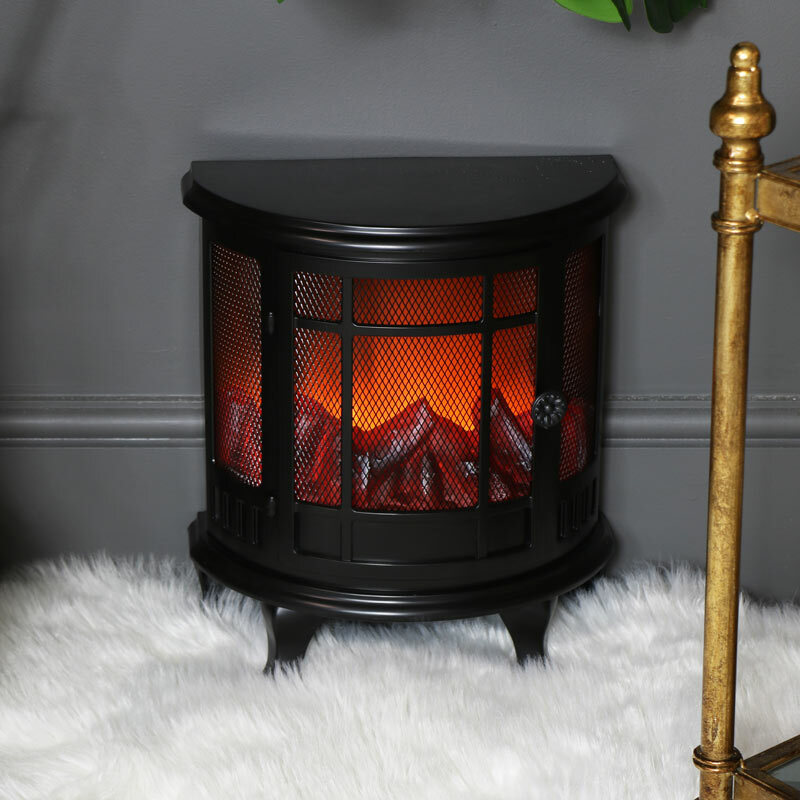 Enjoy the ambient glow of a log burner with this decorative flameless lantern. Lit with LEDs for the flameless look. This little lamp will add a warm charming feel to your home decor. Made to look like a real log burner from a quaint country home, this is a lamp that will add plenty of character to your living room or bedroom. The perfect nightlight for young children with the flickering flames safely lulling them to sleep. Constructed from plastic with log designed insert. The lamp requires 3x C batteries (not included) and features an on/off switch on the back to save battery power when not in use. (Please note that this does not give off heat). Add some character to your home with this fantastic novelty lamp, a great addition to our range of bedside table and floor lamps.